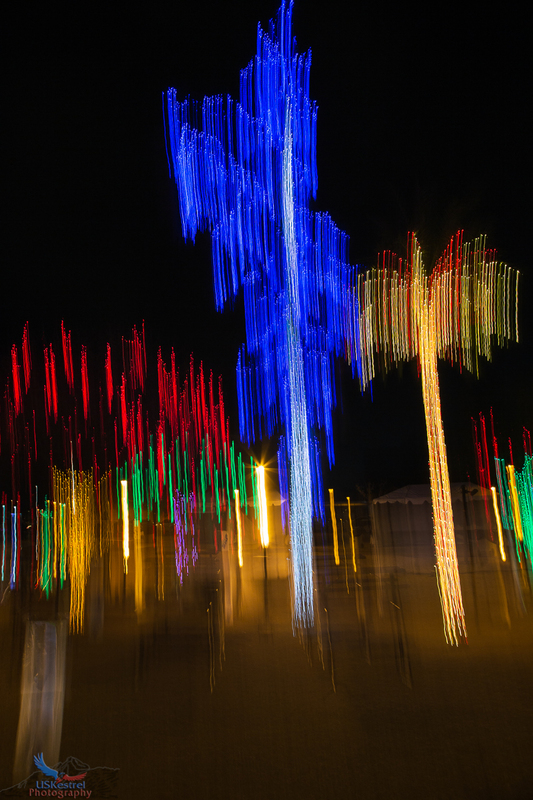 Glendale Arizona puts on quite a show of lights over the holiday season. 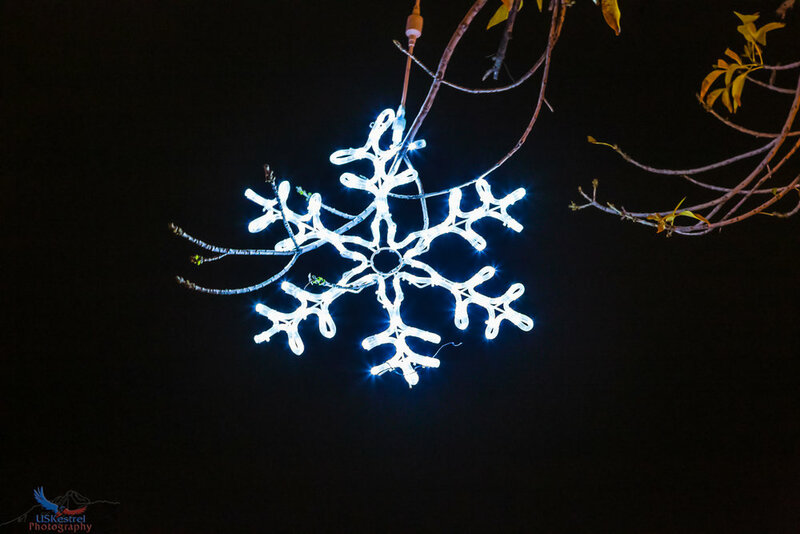 The 11th & 12th of January are the last two days of the 2018-2019 Glendale Glitters display, with 1.6 million LED lights and much more. My Mom suggested that we check it out on Friday evening, since Saturday was going to be total chaos there, with everyone in the Phoenix metro wanting to be there for the last night of the display (bands, hot air balloons, vendors and such). 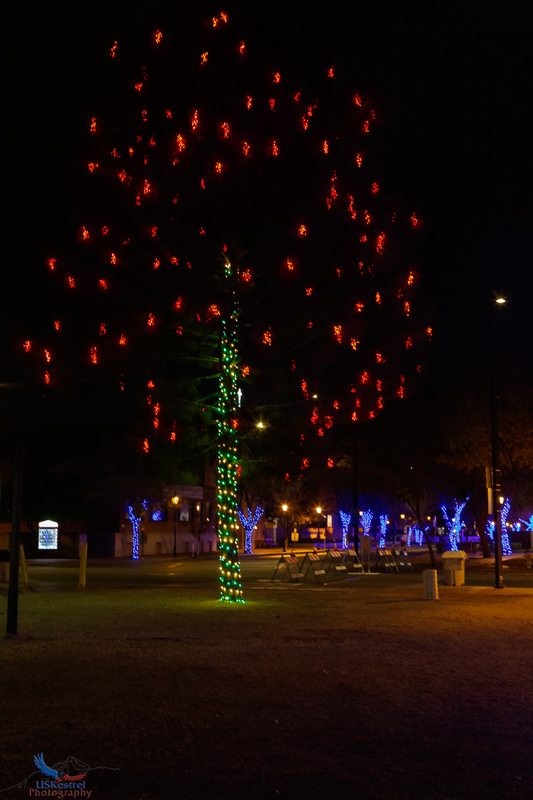 For a Friday evening, we were pleasantly surprised to find that only a handful of people were walking around looking at the light display. Street photography is not a style that we do very often, but this is one of those times when you have to step outside of your comfort zone. 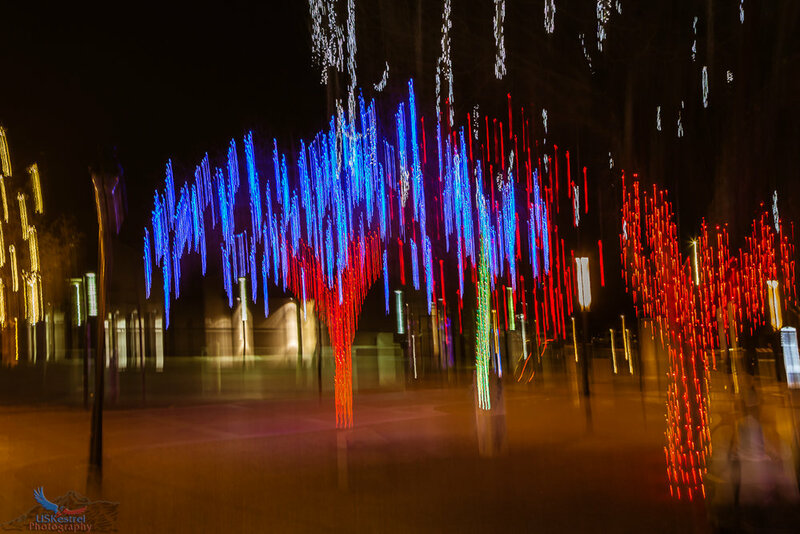 I did infuse a little of my own style for a couple of the images, doing some “Intentional Camera Movement” just to see what it would look like. I also cleaned up a couple up a few of the images to remove waste bins that were a little overbearing within the image, using the new content-aware fill enhancement within Photoshop CC 2019.